Circa 1951-1959: The Harlequin pottery lines 36s bowl is like no other piece of the Homer Laughlin pottery being produced at the time. There is something about it that seperates it from the pack. All of Harlequins normal angles are removed in this ultra modern rounded version. It does have the special distinction of being the last piece designed by Frederick Rhead, designer of the Fiesta line among others. 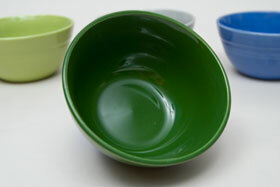 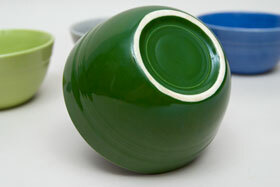 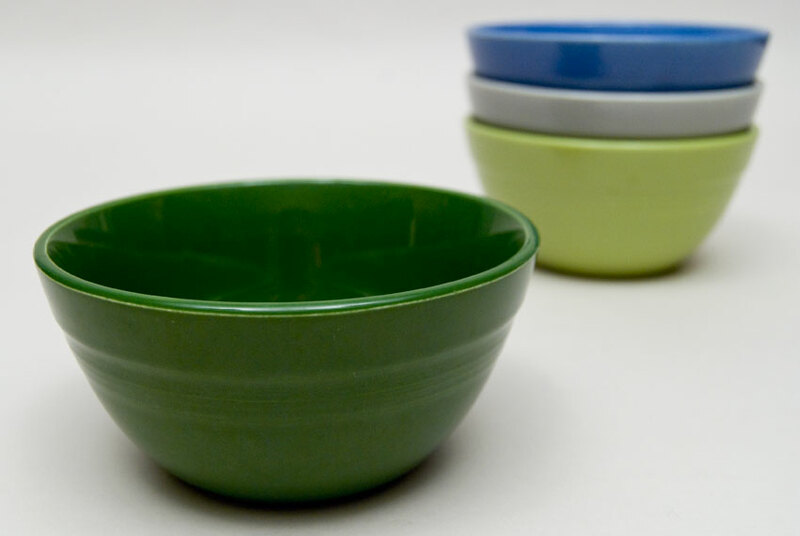 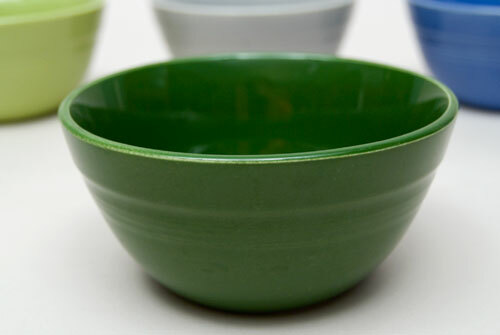 The 36s bowl was also the last piece added to the popular Harlequin line. 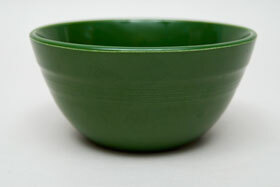 This example in the 50s color of forest green is in excellent condition, with no issues. 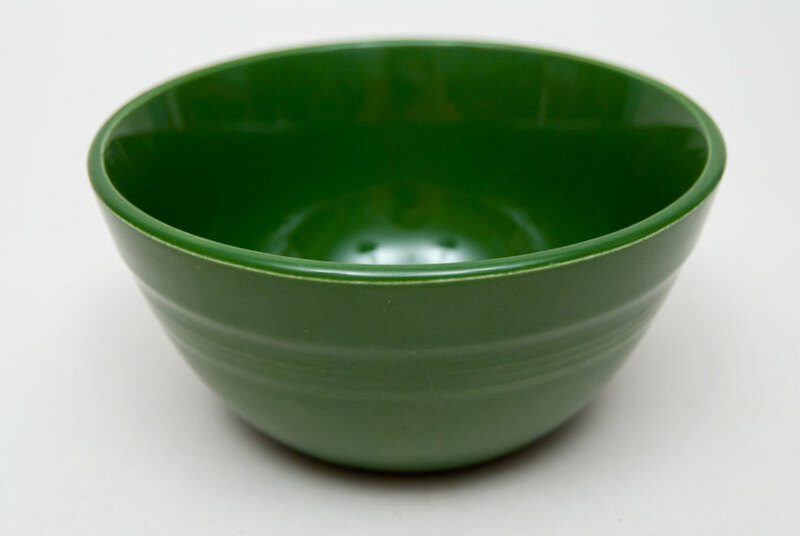 It's a great example without damage or use and a classic piece of Americana whose design marks the end of an era. 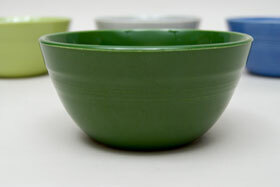 Measures 5 1/8" w x 2 1/2" w, holds 18 ounces to the rim, 16 ounces comfortably.